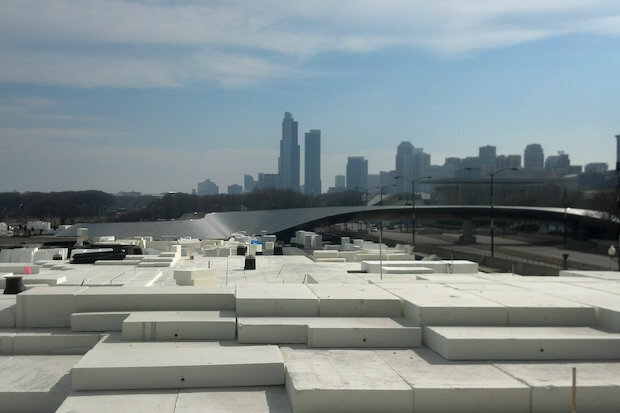 CHICAGO — With a portion of Maggie Daley Park set to open Saturday after two years of construction and $60 million in spending, the Chicago Park District is reversing course on early promises that the park would allow four-legged visitors. The news angered Lakeshore East residents, who say they were cut out of the conversation about dog accessibility, and they are accusing the Park District of backtracking on promises it made to the community. Kimberly Soenen said she's one of many Lakeshore East residents angered to learn by word of mouth in the last two weeks that dogs will not be allowed in the new park, after early reports that it would be dog-friendly. "They changed [the plans] so many times, then cut us out. It's very typical of Chicago," Soenen said. "This whole vertical neighborhood has 10,000 residents. We supported the building of that park. It's been a disaster, and it's ugly." "We should be allowed in every park in the city. They're our parks. That's public land. We own that park, and to be told we can't go in there is absurd," Soenen said, adding that she was told to file a FOIA request for answers on why the changes took place. In 2012, a Park District spokeswoman confirmed the park would be dog-friendly as long as the four-legged companions were on a leash. On Tuesday, Jessica Maxey-Faulkner, a Park District spokeswoman, said the Park District had decided not to allow dogs in the park. Soenen said the Park District requested the community's input on the park, then ignored it, creating a park for tourists instead. "That's a tourist park. No one locally is going to use that park. It's anything but tranquil, anything but beautiful and anything but inspiring," she said. Without Maggie Daley Park, residents have little green space to enjoy with their pups and would be forced to use Lake Shore East Park, which isn't very accessible to elderly people, she said. Maxey-Faulkner said residents still have multiple options for their dogs in the neighborhood. "Like nearby Millennium Park, dogs will not be allowed at Maggie Daley Park. There are two dog-friendly areas nearby: one at Lake Shore East Park, and the other in South Grant Park," she said via email. Bob O'Neill, head of the Grant Park Conservancy, said the Park District's decision "seems reasonable," and the Park District is "trying to minimize damage and protect wildlife" in the park. "I think it's fair, and there has to be a reasonable balance. A lot of damage has been done to parks and their landscaping because of dogs," O'Neill said, adding the issue was irresponsible dog owners, not dogs. "[The Cancer Survivors Garden] was destroyed," O'Neill said of the recently rehabbed garden at Grant Park. "It was used as a dog toilet, which is very disrespectful to cancer survivors." He said he's received numerous complaints and questions from the neighborhood over the last few weeks, but always assumed the park, which is part of Millennium Park, would not allow dogs. Millennium Park doesn't allow dogs. O'Neill said he believes the duress comes from residents who were unwilling to compromise. "It's not a neighborhood park; it's for all of Chicago. That community has one of the nicest neighborhood [dog-friendly] parks in the city — if not the nicest," he said. Ald. Brendan Reilly (42nd) sent a letter to the Park District requesting that it reconsider the decision, a spokeswoman for the alderman said. Reilly could not be reached for comment.